The first step is to validate that none of your Virtual Users contains critical errors. 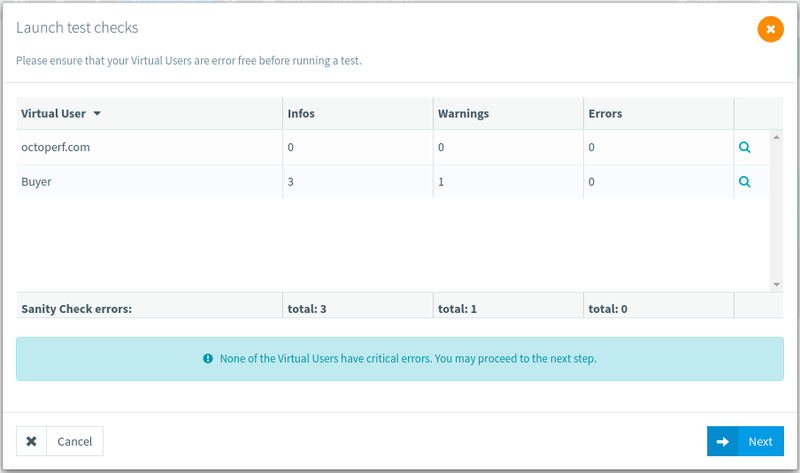 Such errors, like a missing CSV variable file, would prevent the test from running. You need to fix them (if any error) before continuing to the next step. You can click on the magnifier icon to open any Virtual User. The second step is the monitoring connections validation. 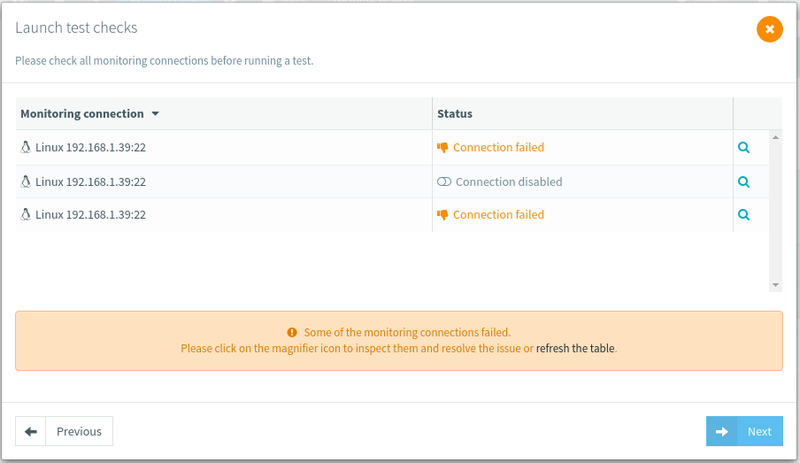 If you configured monitoring connections, OctoPerf automatically checks every enabled connection before launching the test. You need to fix any connection issue before starting the test. You can also disable them. You can click on the magnifier icon to open any Monitoring Connection. This Step is only visible if you have at least one Monitoring Connection in the current project. The third step is the Report Template selection. You can select from any Report Template you created here. You can also switch to an other template while the test is running or completed. You can leave the Template field blank to use the default one. This Step is only visible if you have created at least one Report Template in the current project. The final step allows to select the subscription to use. 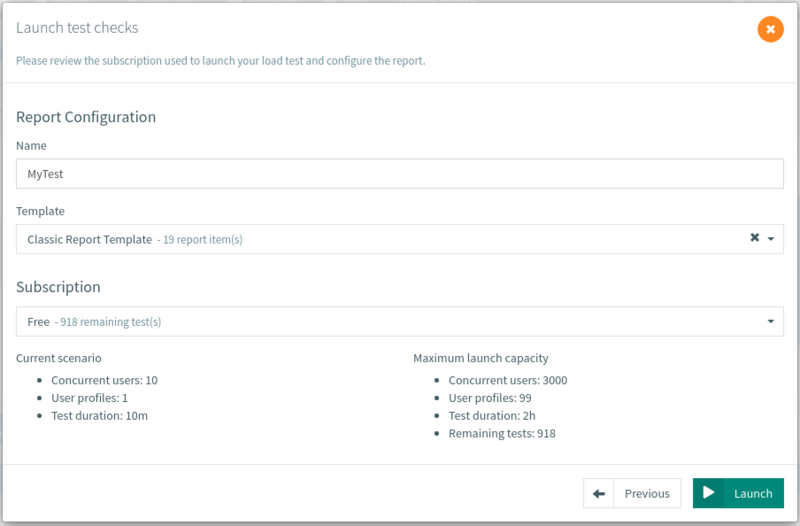 Click on the Launch button, the test startup procedure is shown within seconds. Please allow up to a few minutes for the test to start. The system may need to start machines before it can run your test. A Bench report is created when launching a test. You can always go back to your test by clicking on the corresponding bench report on the project homepage.